It's been roughly seven years since metalcore crew Walls of Jericho delivered their last LP, Redemption. The wait for new material from the Detroit wrecking crew is almost over, though, with news that the band have signed to Napalm Records to deliver a new album by year's end. Specifics on the LP are slim, but the band report in a press release that issuing a demo of "Relentless" last year gave the group incentive to put out some new music. 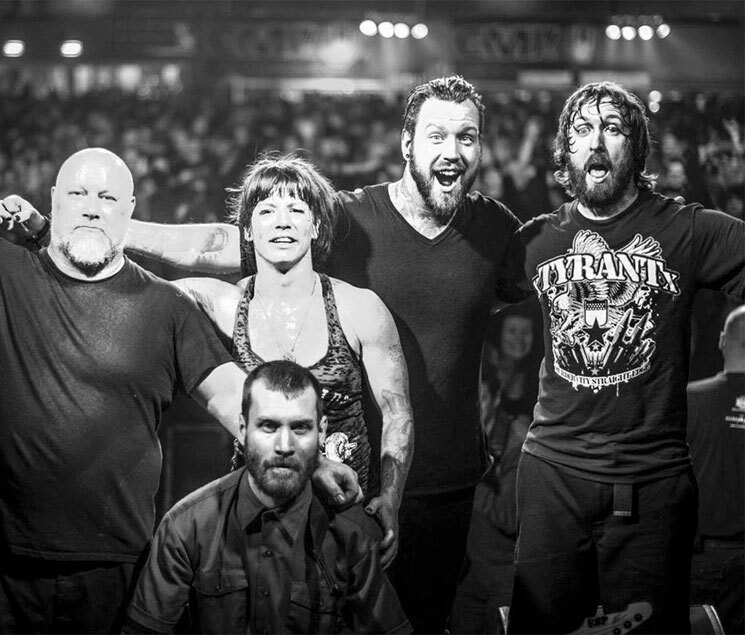 Drummer Dustin Schoenhofer noted that signing to Napalm is bringing Walls of Jericho closer to that goal, mercifully giving longtime followers some new tunes to stomp along to. "We would like to thank both Napalm and all our fans and family for being so patient with us these past seven years since our last release cause its long overdue," he said in a statement. While there isn't much info on where the album will be recorded, or with whom, Napalm Records confirmed that the band should have the record out by the end of the year and that they'll be taking the tunes on the road as well. Details are forthcoming. For now, you can check out a lyric video for the 2014 loosie, "Relentless."